If there's one thing we learned at AppSumo and Briefcase — it's that customers love being in the loop. Which is why we introduced you to Beamer, the notifying superstar that we not only love, but actually use on our site! This is a deal you don't want to miss, but codes are running low so grab yours before Beamer leaves our store! This is a deal you don't want to miss, but codes are running low so make sure to grab yours before Beamer leaves our store! 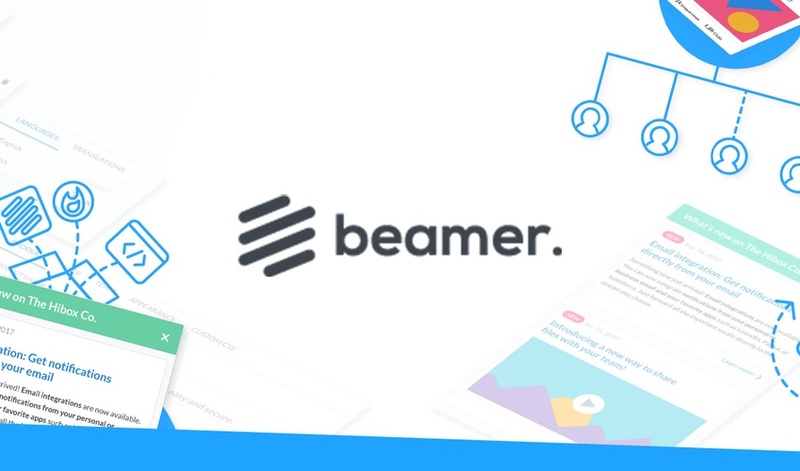 Having a changelog like Beamer will not only help your customers learn about updates and changes, but it will bring you up to 10x more engagement! Beamer lets you educate and entertain customers with a customizable changelog filled with images, gifs, videos, and text. 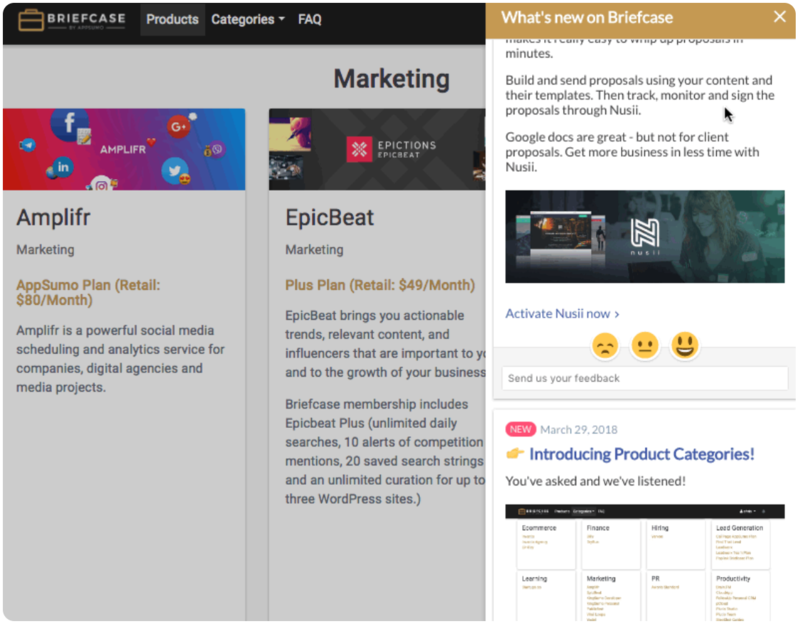 And while customers are enjoying the pretty stuff on the front-end, you are getting useful information on the backend like simple rankings, comments, clicks, and opens — allowing you to make improvements and decrease churn. Important information shouldn’t be communicated via emails that will never get opened or chatbots determined to overwhelm customers with annoying notifications. Your notifications should be simple and effective. Your notifications should come from Beamer. Turn notifications into interactions now!